If the wind does not follow the trend, Daikin's cantilever air conditioner will give you a new experience. One, two, three meals and four...corners! Do you have to think about how to arrange the corner of the living room? A corner sofa, a corner as a photo wall, a corner is a background wall, a corner connects the restaurant. Then... In this hot summer day, where is the life-saving air conditioner? Also planning to buy a bulky 'big head' cabinet air conditioner squeezed inside? Don't worry, Daikin Air Conditioner has zoomed in! As housing prices continue to rise, the optimal use of home space is increasingly valued. 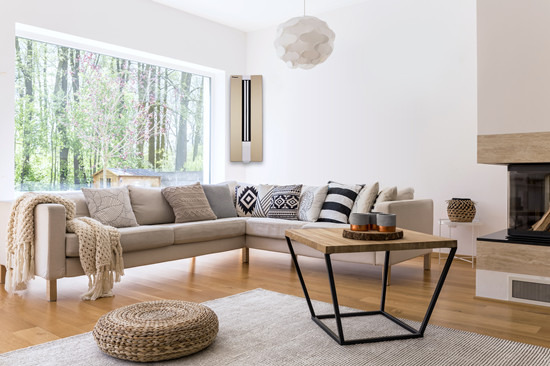 In order to help users release the corner space of the home, thus creating a more flexible and diverse home life, knowing your Daikin air conditioner once again breaks the tradition, creating a new Wall-mounted, new form of air conditioning outside the cabinet, the E-MAX a series of angled air conditioners will be introduced to the market. 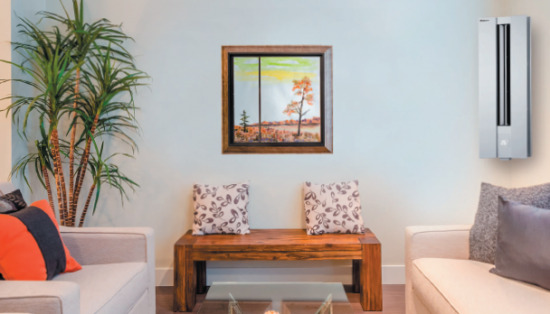 Not only can you release the corners of your home, you can even create more decorative combinations! Secretly tell you that the angled air conditioner is specially built for Chinese consumers! Daikin Air Conditioning has always been adhering to the concept of 'continuously tapping the next demand of consumers'. In 1994, it took the lead in introducing Daikin multi-connected air conditioners to China, and continued to open a new chapter in the split-type home machine market. In 1998, Daikin first Daikin's inverter household splitter was brought into the Chinese market, and in 2006, the home machine market was promoted to achieve new refrigerant. By 2015, the Daikin wall-mounted machine equipped with the Kangda effect airflow was launched, bringing new consumers to Chinese consumers. Airflow experience. In 2017, it is another time point that will be recorded by Daikin Air Conditioning Milestone. 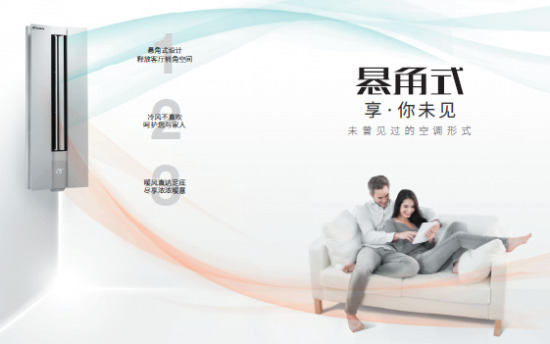 Daikin Air Conditioning R&D team knows about 500 users, after more than a thousand days and nights, and tens of thousands of times The complex test, combined with ergonomics and aesthetics of decoration, was created in China for the Chinese-style living room. I almost forgot to tell you, in addition to the new breakthrough in appearance, the new embracing airflow of the cantilevered air conditioner is the gentleness and comfort that Dajin gives you! In the era of black technology, Daikin Air Conditioning is not to be outdone. Daikin has conducted in-depth research on airflow, bringing the Kangda effect airflow originally used in aerospace and aviation fields to the air-conditioning industry, realizing cold air and not blowing directly. 3D IV The control wind swinging leaves are separately controlled by four sets of motors, creating a more flexible wind direction for you. The asymmetric blade structure makes your home air conditioning wind bigger and quieter. You know, true love is Moisture is silent. Also remind you, in the cold winter, the warm and agitated airflow is the care and care that Daikin gives you! In other words, air conditioning and refrigeration are instinct, heating is good. Dajin also has a brain for your comfort in the hot air. Daikin E-MAX a series of angled air conditioners during heating, yaw When the indoor temperature is close to the set temperature, the air volume does not change, and the air temperature is reduced intelligently, so that the temperature rise is further suppressed while the room temperature is further increased. At the same time, the longitudinal swinging leaves reciprocate to both sides to realize the agitation type. The airflow makes the room temperature more balanced. You understand, the real concern is to let the rain and dew in every corner of your home. By the way, you will be spoiled again. If you want to decorate your home, the colorful panel is a careful machine for you! As home furnishing styles become more diverse, Daikin tries to develop more paint colors to reduce the awkwardness of air conditioners and interiors. Glacier white simplicity, jazz gold elegance, knight silver coolness and rose powder softness , a variety of color schemes make your home improvement choice no longer single. You may have imagined the appearance of your home innumerable times. There is a floor-to-ceiling window, a beautiful sofa, the child crawling on the ground, you are with him on the side. The air-conditioned wind is rushing out, accompanying you through the spring and autumn. Winter and summer. But you may never have thought that the air conditioner in the living room will break the traditional form, hanging in the corner, you can also adjust the air supply mode to meet your different needs. You may still be thinking, but Daikin is already doing it! Daikin E-MAX a series of angled air conditioners, enjoy, you have not seen.